OAKLAND, Calif. -- The Warriors will face LeBron James for the fourth consecutive Christmas, butSteph Currysays this holiday's marquee showdown will have a slightly different feel to it. "We've seen him a lot over the last four years," Curry said after scoring 42 points to help lift the Warriors to a 129-127 win over the Clippers. "It'll be a fun atmosphere. Played him and his team on Christmas I think the last four years, including this year. "It'll be a fun atmosphere, a fun game [with a] Bay Area and Southern California vibe kind of reignited a little bit so it should be fun." 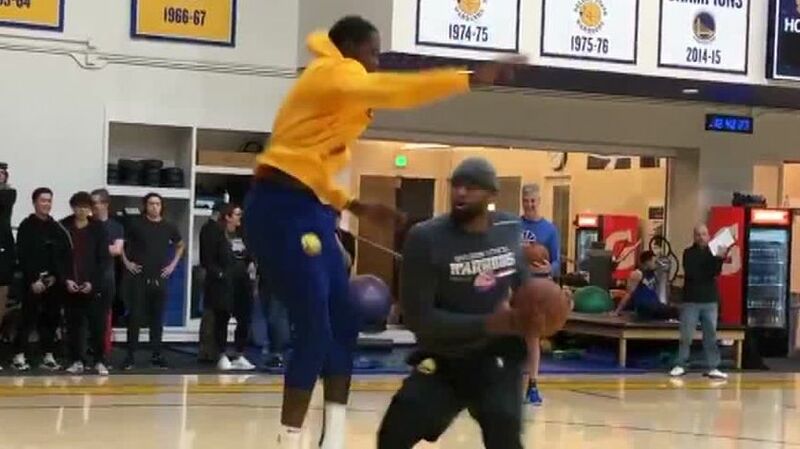 After playing James and the Cleveland Cavaliers in the past four NBA Finals, the Warriors will now play their first regular-season game against James in aLos Angeles Lakersuniform Tuesday at Oracle Arena after playing the Lakers twice in the preseason. 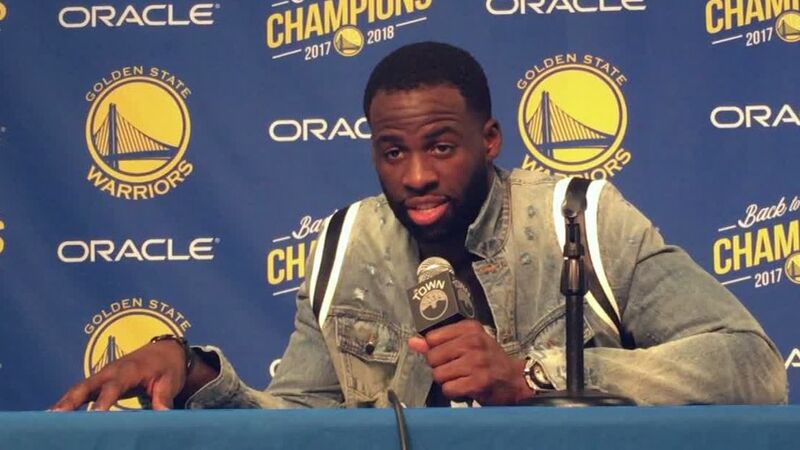 "I really don't give a damn about him being in a Laker uniform," Draymond Green said. "That really don't matter to me. That is the team he is on and that is who we face. It obviously is going to be a tough challenge, they are playing well. They got a lot of guys playing well. Kuz [Kyle Kuzma] has really stepped up his game,Lonzo [Ball] is playing well." The Lakers (19-14) enter the Christmas showdown having lost four of their past six games, but they are getting healthier with Brandon Ingram and Rajon Rondo recently returning from injuries, and JaVale McGee still making his way back from a respiratory infection that hospitalized him last week and has cost him the past four games. James has repeatedly said that the Lakers and their young core of prospects surrounded by a new cast of veterans cannot be compared to the defending champions this season. "We can't measure ourselves versus them," James said after having 22 points, 14 rebounds and 7 assists in a 107-99 Lakers loss to the Grizzlies on Sunday night. "That's a team that's won three out of four championships, the last four years. You can't measure yourself versus them." "It's going to be a very good environment," James added of the Christmas atmosphere in Oakland. "Those fans, obviously, love their Warriors. But I don't look at it as a special matchup. We're a team that's trying to get better every week, better every month. They're a team trying to figure out how to win another championship. ... But, we want to have championship habits. It's a special day. It's Christmas. We get to play the game of basketball on Christmas. It's my 13th appearance. Obviously, I'd love to be home with my family. But if I had to do anything else, playing basketball is pretty cool." Meanwhile, the Warriors (23-11) enter the game having won eight of their past 10 and are making their way back to their championship selves after enduring a rocky stretch in which they dropped six of eight games and endured injuries to Curry and Green, and drama between Green and Kevin Durant. Now, the Warriors prepare to face a familiar foe on Christmas again but in a new uniform. "They're playing fast," said Durant, who had 35 points and 12 rebounds against the Clippers. "They're playing just energetic basketball. You can tell that they [before] this last stretch, they were having a nice little winning streak and just building momentum. Obviously LeBron is a force on both ends of the floor, with his strength, passing ability and scoring ability, it just opens it up for everyone else. "I feel like Brandon Ingram, Kyle Kuzma and JaVale, if JaVale is playing, those guys have grown and gave them some great minutes and Kyle Kuzma is able to be that second guy behind LeBron so we got our work cut out for us." Draymond Green, Kevin Durant and Steph Curry talk about playing LeBron James and the Lakers on Christmas Day. 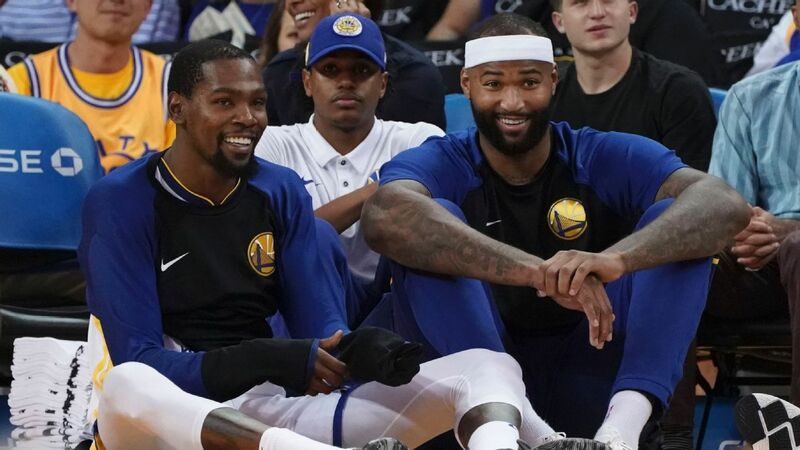 Kevin Durant and DeMarcus Cousins play a 1-on-1 game in which Cousins puts Durant on a poster. Cousins then talks trash in the locker room.